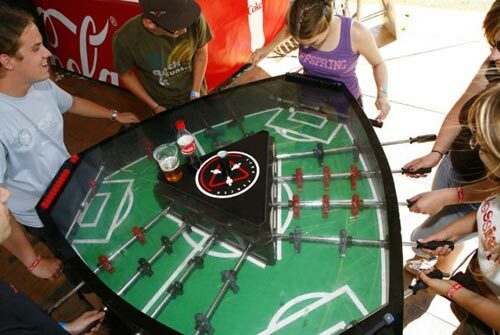 If you love foosball but tired of playing on the same ol' boring tables, these five creative innovations may be just what you're looking for. The tables below are a real game changer and will make you see the game so many of us have enjoyed at its original form for many years, in a different light. Have you ever tried to play a game of foosball in the dark? Of course not, because that's impossible, unless of course you managed to get your hands on this little number. This table is equipped with a 12 volt battery and LED lights producing combinations from 16 different colors. Here's one that changes the concept of the game altogether. There's nothing worse than being the odd man out when two of your pals are enjoying a game and you have to stand on the "sidelines" and watch. Well, now you can have a game with 3 players instead of two, although it may take a few tries before getting used to this new way of playing. Don't have enough room for a foosball table in the house? 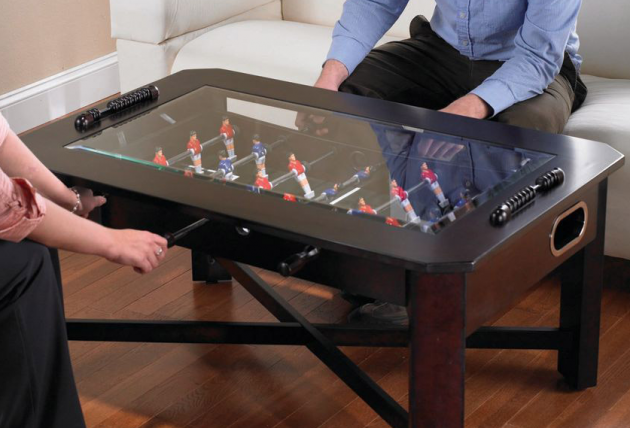 No worries, because now you can have a foosball table that disguises as a (sort of) stylish coffee table. Not sure if the wife/girlfriend would go for this particular style of interior design, but for a small bachelor pad this may just be the thing. 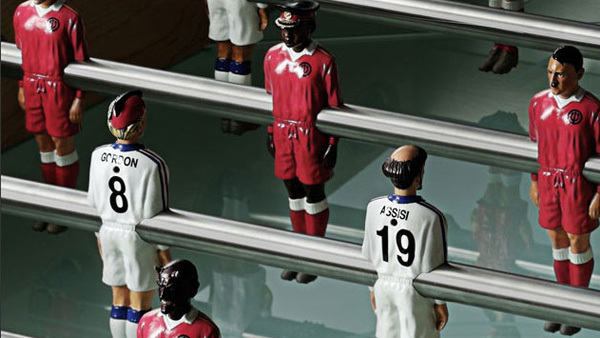 This foosball table design takes the little men (players) design to a whole new level. 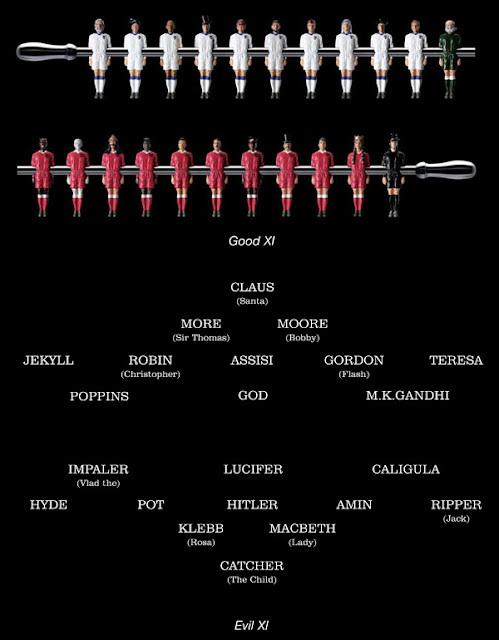 The two teams are split between a team of "good versus evil" and feature such characters as Santa Clause, Mother Teresa and Mary Poppins on one side, while the opposition field names such as Hitler, Lucifer and Jack the Ripper just to name a few. Which side will you pick? 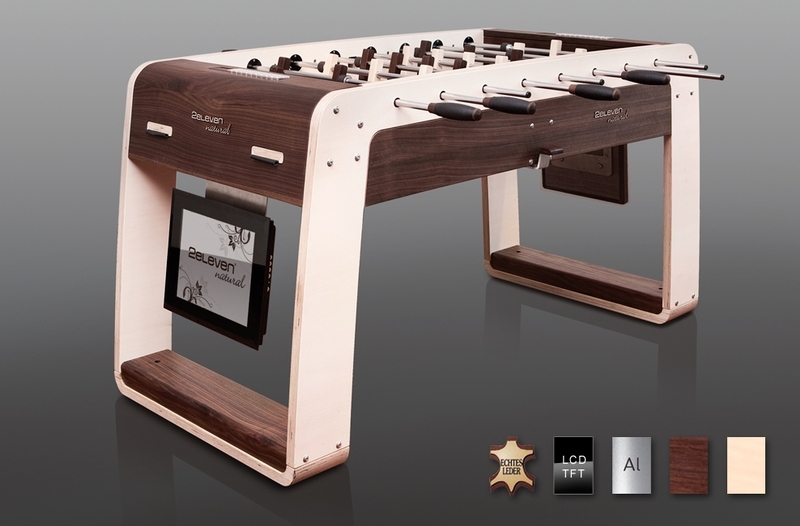 Although not officially the name of this product, I like to refer to this particular foosball table as the god of all tables. 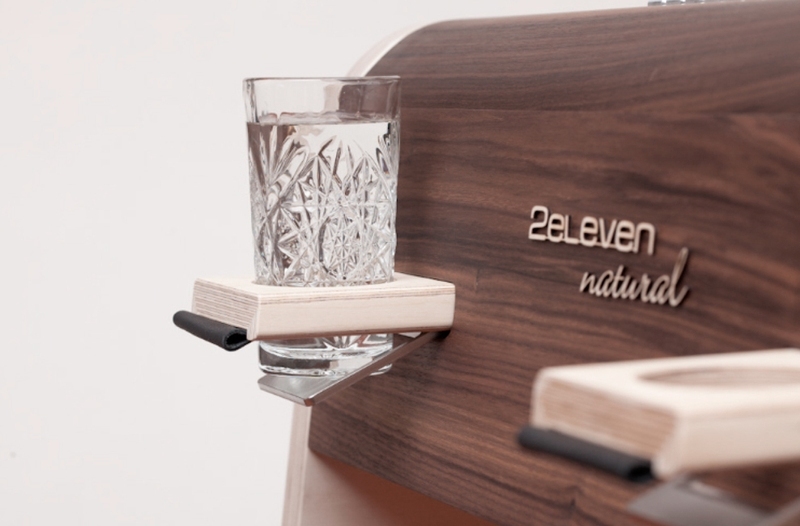 The 2eleven natural features ergonomically-shaped grips, LED displays on either side, leather surfaces, extendable cup holders, aluminum counter and an elegant score display. The players are crafted of solid maple and walnut, and an automatic system catapults the ball into the middle of the field. The design is sharp and would look great in the middle of the living room even in the most modern designed homes. The cabinet is one inch thick and provides a good amount of sturdiness and durability. 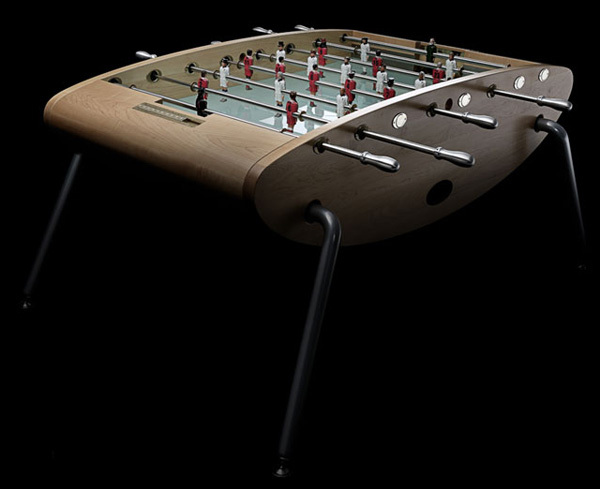 It is made in the United States and the Tornado brand of foosball tables is known for being one of the best out there. Foosball man durability is one of the main strengths of this table and you can count on it lasting for quite a long time.